The new office is very warm and comfortable. I was greeted with a welcoming smile by a young woman who introduced herself. After talking for a while, she handed me a small computer like tablet. I answered the questions quickly and easily. I was then called into the office spoke to the MA and then saw Dr. Matos. As always my visit was comfortable and pleasant. Thank you for always being so welcoming and so patient with me. Dr. Matos is incredible. She is kind, thorough, thoughtful and truly interested in her patients. It is rare to find a doctor with such genuine compassion and concern who really takes time to listen and try to help. I would follow this ob/gyn anywhere. She is worth it. So many doctors today are all about volume and rush their patients in and out the doors in record numbers. Not Dr. Matos. Expect the opposite. I am so glad I found this doctor. Truly a 5-star doctor! Dr. Matos has been my Obgyn for a few years now and I couldn't be happier. The new office is great and the office staff was so nice and welcoming! Excellent service!! Felt 'right at home' for a first time visit! I truly appreciate the amount if time Dr. Matos took to really talk to me a listen about how I was feeling, asking questions, answering them. I feel she honestly cares about each one of her patients and is there for them. I highly recommend her. I live the convenience of her new office. The staff is wonderful. They actually stayed on hold for and hour! waiting for my insurance. Thank you!! I feel very comfortable with a female physician, I have been going to her for several years. She always explains in detail what she will be doing and why. I rate her five stars. Always is a great experience. I was ok with the service. can do better on the wait time. Dr matos is my favorite in the whole world. She truly care about her patients. She had been my doctor for 9 years. I highly recommend her. In and out in no time!! Love their new computer check in. I consider Dr. Matos-Fraebel a very professional, knowledgeable and I amery satisfied with having Dr. Matos-Fraebel as my gynecologist. 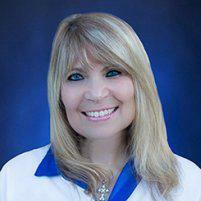 Very satisfied with the service and dedication of Dr. Jane Matos.